It’s that time of year when you have to think about whether you are going to invest in a new winter coat. 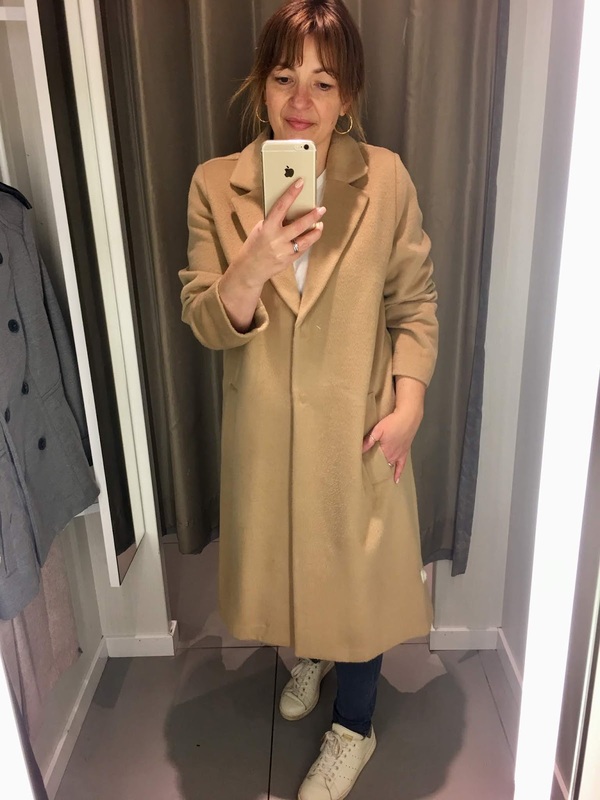 For me my Ted Baker Camel Coat that I bought in the Black Friday sales in November 2014 will be making another appearance this winter, for the fourth winter! I cannot believe just how good a quality coat this has been for me and it still looks brand new! I paid £229 instead of the full price of £299 (back then) this has been an investment so far of £57.25 per season! 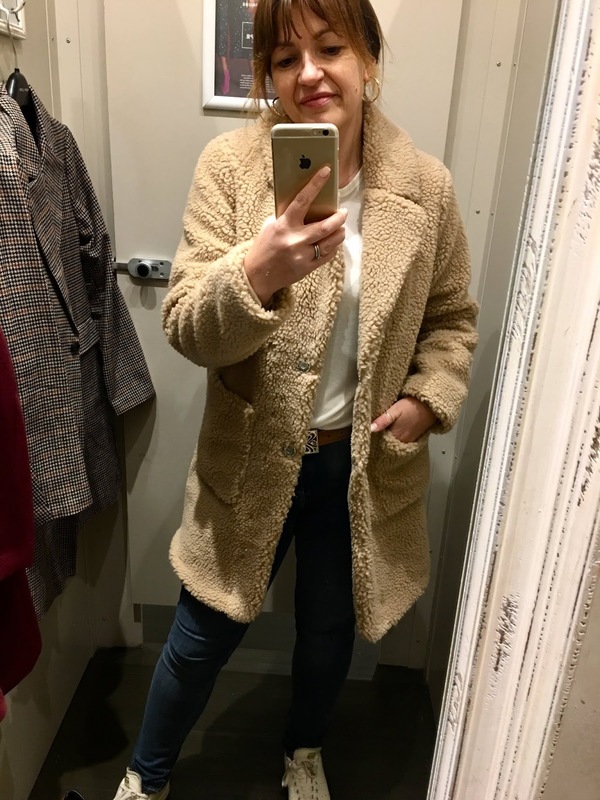 Last winter I wrote about the importance of not investing in trends for your winter coat – I firmly believe it’s a waste of money. 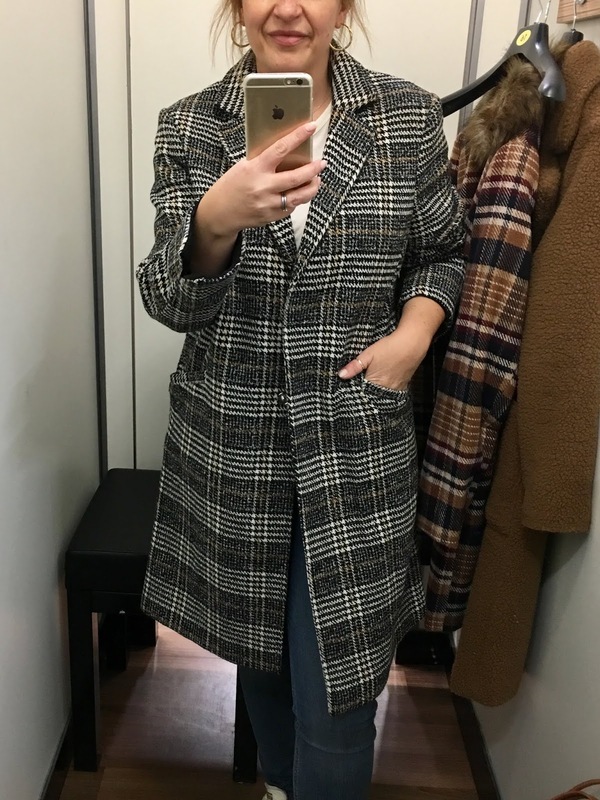 You can buy a pretty decent coat for under £40, the next price point after that is around £75 and that would be the start of you needing to wear this for more than one season. 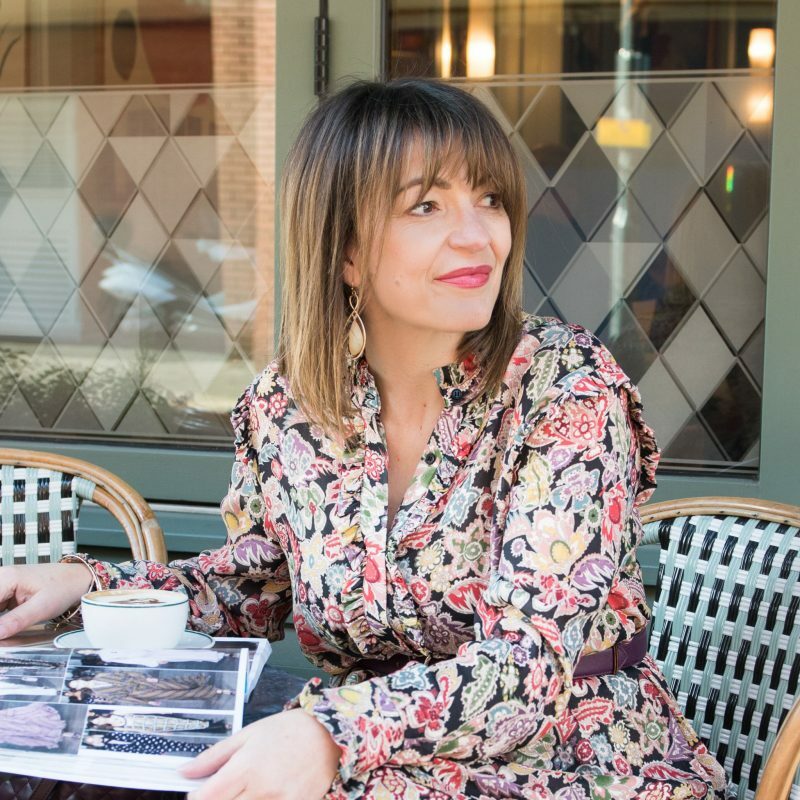 An investment above £125 you should be making sure that it suits your colourings, it’s the right style of coat for your bodyshape, that it fits perfectly on your shoulders and on your arms and most importantly that it’s the right length on your body for YOU. 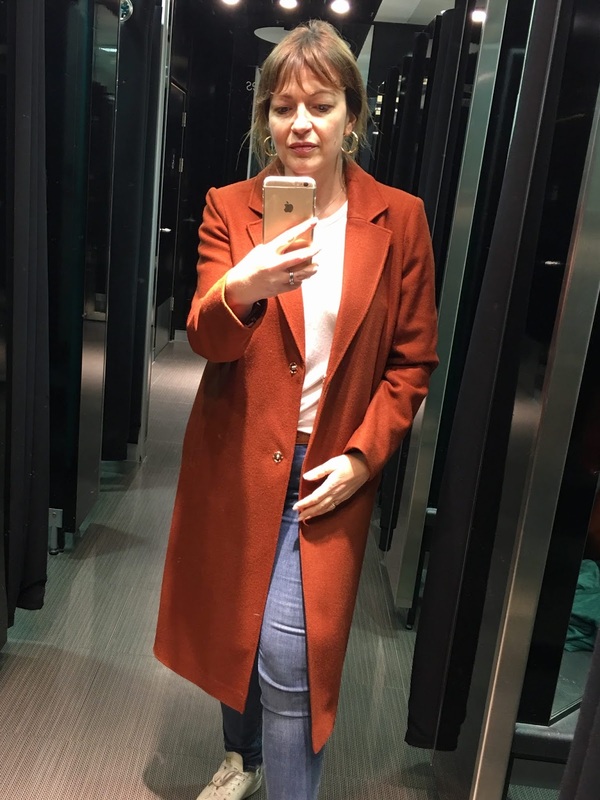 Over the next few weeks, Winter Coats will feature more than once on this blog, but for now it’s about this year’s Autumn/Winter trends – and all of these are below £40. 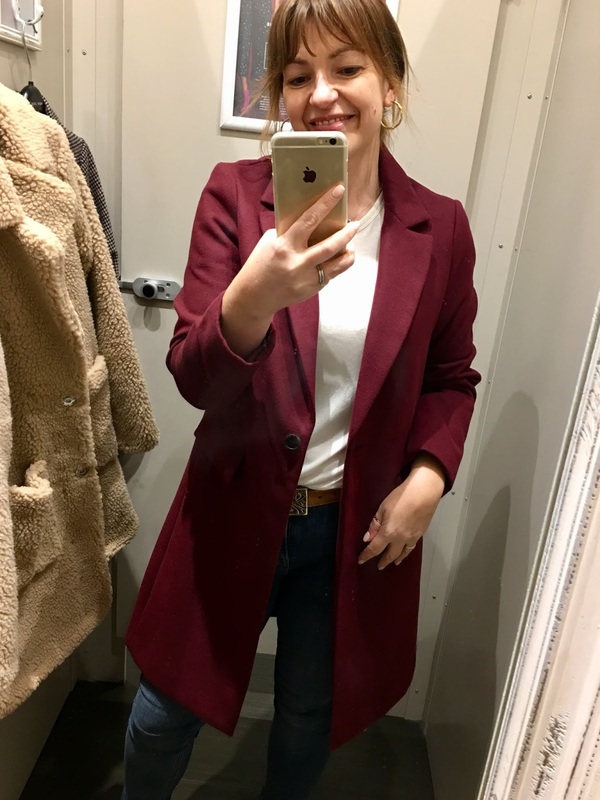 So starting with my favourite from the shopping experience from Dorothy Perkins – This was a price point of £45, but it’s now in the sale at £33.75. 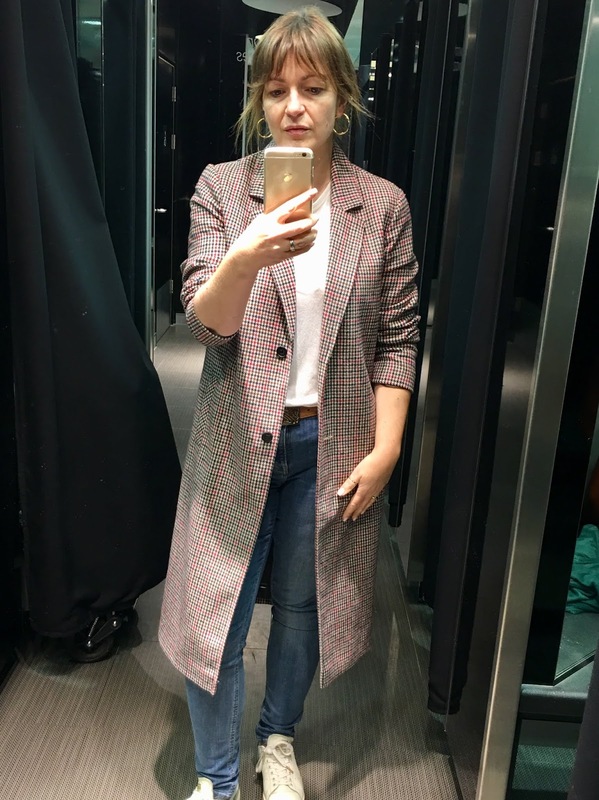 Sizing was true to fit, it was a great length and felt really good quality, I was actually surprised by the low price tag, I was expecting this to be around £65 – so I feel this is a bargain! Sticking with this style of coat for the next few; Brown is really in this season and Primark have this in brown. As per normal with Primark it’s hard to find their best buys online as they want you in store. This was a great price point at £25, I personally wasn’t keen on the poppers so potentially if your not keen either than the only way to wear it is done up. This is going to be a popular one so it’s likely to sell out fast! Now moving on to H&M, I was really disappointed with this coat, especially at a price point of £39.99. When you walk in store and see it on the mannequin it looks great and it certainly grabs your attention. However I am sad to say that the quality is poor, the material is like felt and there is no lining (yes no lining) on this winter coat – it simply will not keep you warm. If they had described it as a coatigan I may have held back on my comments, but they don’t they describe it as a coat, and I personally would not recommend that you spend your money on this. And again they have opted for cheap poppers rather than buttons. The size is true to fit, I am wearing one size up here as they did not have my size. 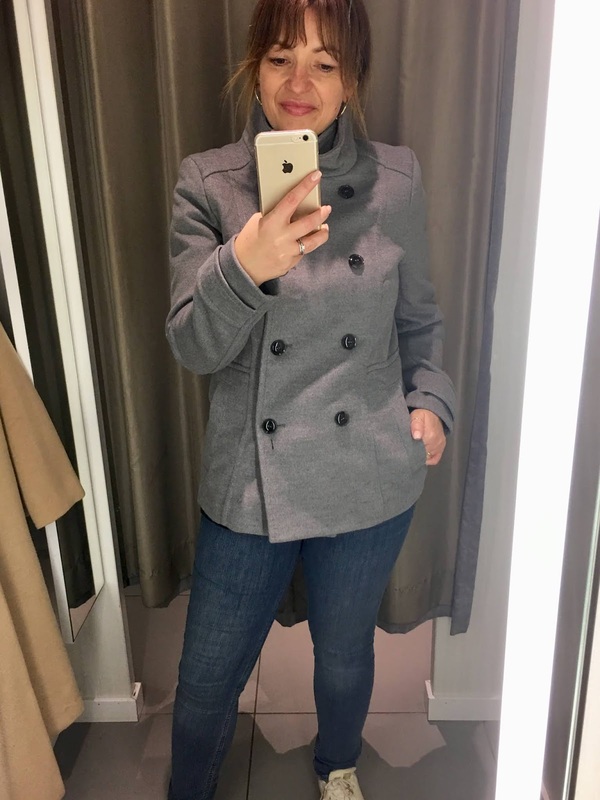 Sticking with H&M, I will however say their Pea Coat that they had in store in many colours like Navy, Camel and Black was very good, I was really impressed with it. I am wearing the grey version and it’s true to size. I cannot find it online, so head in store and the price for this was £29.99, very good value for money I thought (and one I could be adding to my list). Now moving on to the trendy checked coat – I think nearly every other lady is wearing one of these at the moment. They look fabulous on and really freshen up an autumn look. One tip I would add is that they come in lots of different colours they all look grey from a distant, but if you look closely some are with a yellow stripe, some with pink, red or even blue – so try and select one that will complement your existing garments. This is a great one to wear to the office or casually with jeans at the weekend. All four below are great, my favourite one is Primark, again sorry it’s not online, it’s truly a great price at £30. I would recommend to size down I found it slightly big on me. Probably my least favourite was the one from New Look, it just didn’t feel as nice but the fit was a lot better. I’m not sure it was worth paying more compared to the Primark coat. 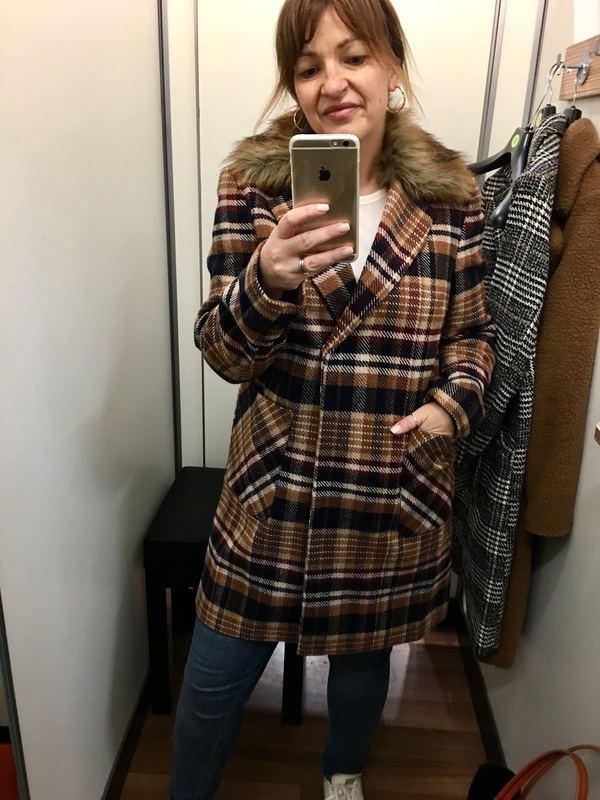 Now for the checked coat from George at Asda, well I am not surprised that this has sold out online – it has an unbelievable price of £20!! And I could not find anything wrong with it, exceptional value and made quite well. Sizing true to fit. 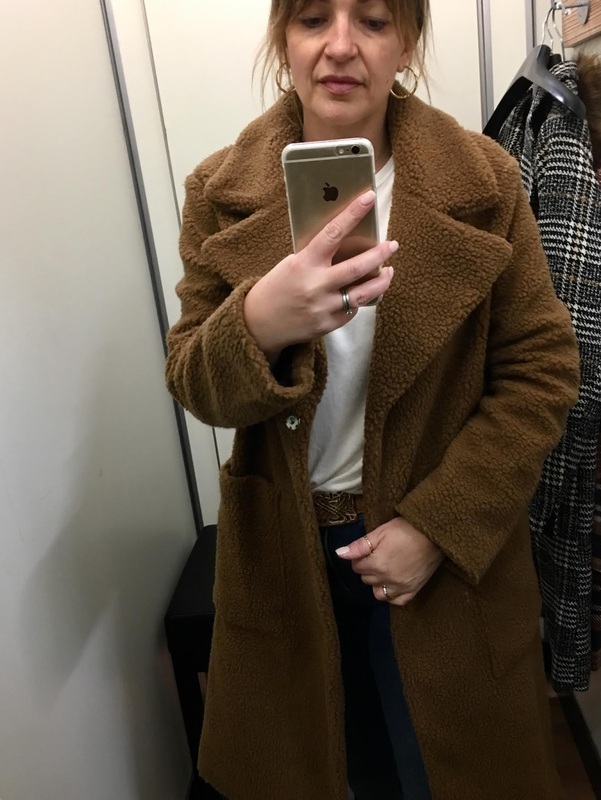 Still checked and still with George at Asda, this brown version comes with a faux fur collar, I thought it was very glam and again not bad in quality. You will be ticking off two trends here with brown and checked. Now I’ve saved the Borg coats until last – I probably going to do another post on this in the coming weeks – the quality of the ‘teddy’ fabric I think is important, however I did find two where the quality under £40 wasn’t too bad. Let’s start with the one from New Look, this is not online but you will find it in store in light camel or black. Take note this is not their cheaper bomber jacket version at £29.99, this one is slightly longer and I thought better quality to look and touch. This is £39.99, very snug (as in cosy to wear) and sizing true to fit. And then finishing up with the one I found in George at Asda, this was lovely! 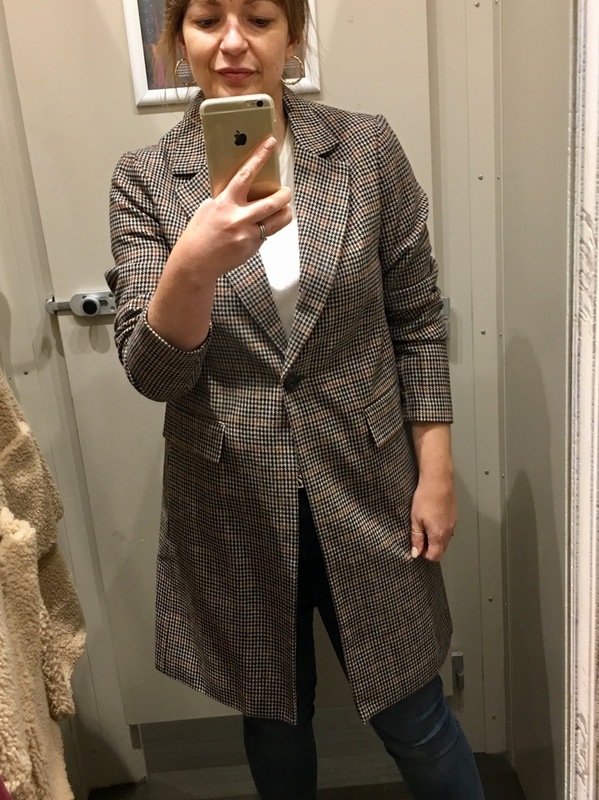 A tad long on me (or for what I would want) Sizing is true to fit and I think this is great value at £35 if your want to try this trend but not invest in it at all! More winter coats to come on the blog – where we will be exploring more premium, better fabrics and where you’ll be making an investment for more than one season. 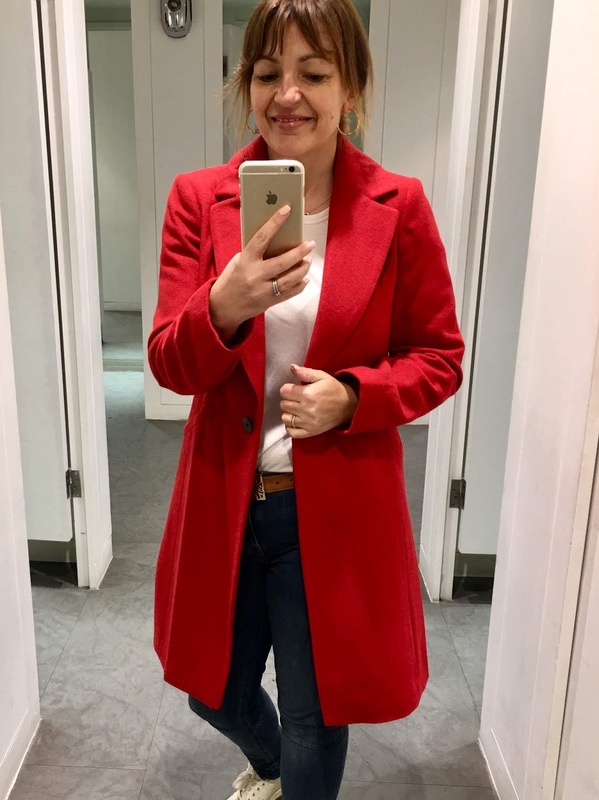 The post WINTER COATS FOR UNDER £40 was on Loved by Lizzi first.